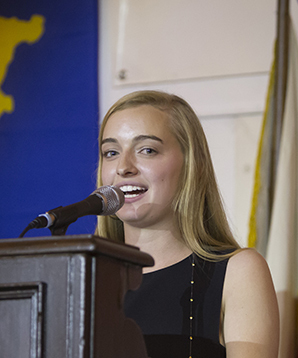 Carmen Alban ’16 (United States) is headed to Duke University after selecting the academic and research powerhouse over Northwestern University, University of North Carolina at Chapel Hill, University of Texas at Austin, University of Southern California, Vanderbilt University, University of Virginia, and Southern Methodist University. Carmen excelled both in and out of the classroom at TASIS, achieving 41 points on her International Baccalaureate exams while also captaining the Varsity Volleyball and Varsity Tennis team, serving as a Dorm Proctor and a student leader of the WISER Global Service Learning Group, and making a strong contribution to the theater program. Anyone who studies or works at The American School in Switzerland falls in love with the beauty of the campus and surrounding area, but Carmen reminds us it’s the TASIS community that leaves an indelible mark.